Three books that traverse the diverse culinary landscapes of Central Otago, Sri Lanka and Dunedin are bound to get foodies talking. The magnificent and sparsely populated hinterland of Otago known, perhaps a little unimaginatively, as Central Otago has welcomed various and distinct waves of European settlement. First, the gold miners of the 19th century in furious pursuit of those ever-elusive nuggets swelled the then population (just a hundred or so run-holders and shepherds) by thousands almost overnight. Then the miners left, just as abruptly as they’d arrived, when the easy pickings were over and other fields called with better prospects. In the 20th century came the tourists heading “up Central” to enjoy the golden nothingness of tussock rising to distant horizons where it meets skies of infinite blueness. Tourists are still speeding up the long straights from the east coast or snaking in goodly amounts alongside the big rivers draining the lakes of Wakatipu and Wanaka after landing at the international airport in Queenstown. They’re not yet in such numbers as to wreck the solitude. There’s always that long, slow exhale at the top of the Pigroot or as the Kawarau Gorge opens to the Cromwell Basin to mark a visitor’s arrival in a place beyond the madding crowd. 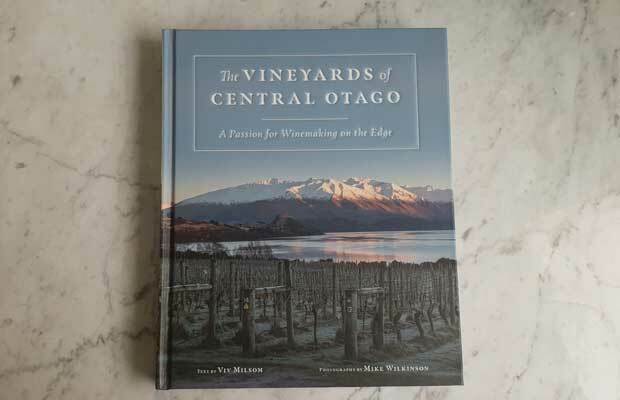 Viv Milson, in this book, argues that a third great goldrush is happening right now in Central Otago with the viticulturists and vintners who arrived during the past four decades in pursuit of perfect pinot noir land. These modern-day gold-seekers are interviewed for this weighty and handsome coffee-table book, illustrated generously with images of the land, the vines and its wine pioneers. Viv’s sparkling prose captures their spirit as her essays chronicle the endeavours that underlie many now world-famous wineries. As a third wave of migration, they’re most welcome – long may they prosper. A vegetarian cookbook sends Kate Coughlan down memory lane. Unlike many of the current crop of cookbooks, this is not a brand-building self-publication but a true culinary adventure. In his travels across the Indian subcontinent, Peter Kuruvita is as joyous about vegetables as Yotam Ottolenghi is of his Middle Eastern crops. And Peter’s recipes are just as tempting. They take me right back to my vegan days. I didn’t set out to be an oddity back in 2007, but a violent bout of campylobacter left me four kilogrammes lighter and distrustful of chicken. I fell into the clutches of a group of enthusiastic vegans who had a religious fervour for its benefits. They were poster children for it, especially the young woman who danced into my kitchen at 6am a couple of times a week singing and spreading goodwill. Her utterly delicious meals were a miracle. I didn’t embrace all their beliefs (such as “vegans don’t get cancer”, for example, very tragically, one of them proved this to be incorrect), but I happily took to the nuts, grains, pulses, fruit and vegetables. My body immediately went into high-energy over-drive. It felt great. My dedication began to falter after a few years, and the thought of dying without having eaten another grilled cheese sandwich struck me as an unnecessary act of self-denial. Smoked salmon tormented me, winked and beckoned at me. One curious thing about vegan eating is the ease of washing up. There are no roasting dishes with caked-on brown bits requiring vigorous scrubbing. Most cooking equipment rinses clean. Did that mirror my insides? Was that why I initially felt such a burst of high-energy and lightness? I slipped from vegan to vegetarian as dairy made a comeback on my plate, and then, a few years later, became a fish eater again (with smoked salmon my first off-the-wagon dish) and finally back into the full embrace of eating anything and everything. Today, all cafés and restaurants cater for vegan and vegetarian eaters. Nuts are being activated on benchtops throughout the land and nut “mylk” is common. Should anything happen to the world’s coconut or date plantations, it would be a calamity. Ditto the almond orchards. Ponsonby runs on dates, coconut and almonds these days. But, back in 2007, turning up to a shared pre-Christmas office brunch with buckwheat pancakes and a chocolate avocado sauce didn’t endear me to my colleagues. I wasn’t very good at making buckwheat pancakes, I’ll admit, but I thought the chocolate avocado sauce was a sensation. They laugh about it still. Peter Kuruvita, an Australian chef and television personality, says vegetables are the stars of the 21st-century food world after a worldwide reversal of the ingredient hierarchy. “Meat-free menus are now the norm, and vegetables have gained new-found respect and are seen as fundamental to our health and also to the health of the planet,” says the owner of the famous Noosa Beach House Restaurant. Peter’s Sri Lankan childhood was mostly vegan. 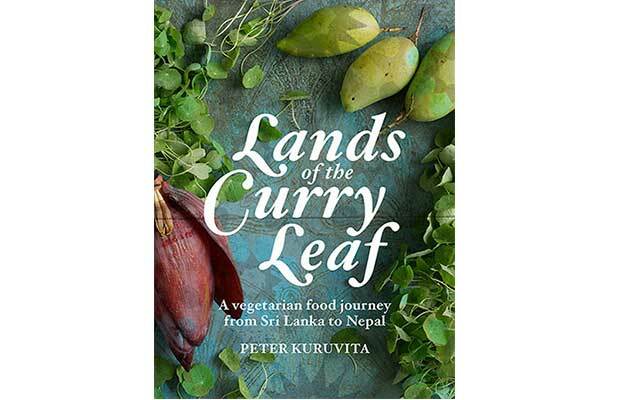 Peter’s 100-recipe book is a journey across Bhutan, Nepal, Afghanistan, India, Pakistan, Bangladesh and his home country of Sri Lanka. This food of the subcontinent is characterized by the abundant use of vegetables and spices and, in many cases, cooked in line with the Ayurvedic approach to medicine. They all look temptingly delicious. I’m off home to make Khoresht-e-Laboo (beetroot hot pot), a Persian-inspired casserole style-dish which could contain meat but in this case doesn’t. Free-range eggs and chickens are regular menu items throughout the country, but the hardier southern souls of Dunedin find free-range goat a lip-licking prospect. Sarah Moore, owner of The Wobbly Goat Café and Roastery in Outram, says the great supply of free-range goat meat from Central Otago inspires her to make good use of it. “I like to put it in pies and wraps,” she says. Sarah is just one of the hundreds of Dunedinites starring in this big coffee-table book, which celebrates the culinary excitements and people behind many of the city’s eateries, businesses and services. (She shares her recipe for Goat, Roasted Beetroot and Feta Wrap.) There are dozens of recipes from cafés, restaurants and the city’s passionate foodies, all gathering up the enthusiasm and excitement of southerners. Does everyone in Dunedin always wear a massive smile? They sure love their city, their landscape and their culinary delights. 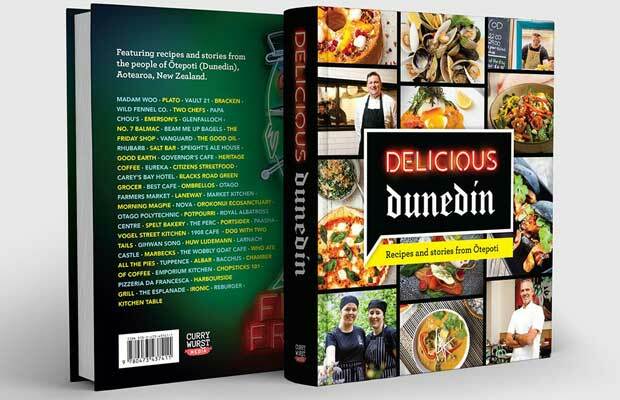 It is an inspiring read and, with the recipes for everything from Francesca’s Italian Kitchen’s tiramisu to Vanguard’s shakshuka (eggs poached in a spicy stew), it is going to be a much-gifted Dunedin item for years to come.